Imphal, January 29 2013: The seed sowing festival of the Tangkhuls, Luita Phanit began on January 28 amidst fanfare and pomp. 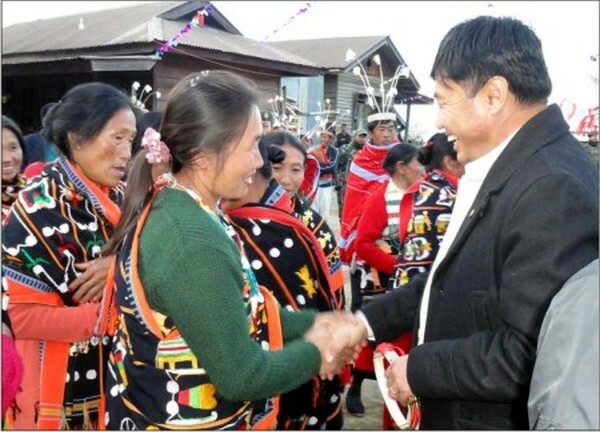 Attending the mega festival� which is widely celebrated across Tangkhul dominated areas of the Stateat Poi village in Ukhrul district, Chingai MLA MK Preshaw Shimray said that the festival has been preserved for posterity although people of the community changed their religion. Preshaw Shimray wished the celebration of the cultural festival brings peace and prosperity among the people of the State. He also said that the Congress Government is implementing various developmental schemes in the interior areas of the State. Maintaining that the Government would continue to do so in the future, the MLA urged cooperation of the people. Invocation of the Almighty for bounty harvest and showcasing of various cultural programmes marked the celebration programme.